Shopping the easyfundraising way with Eibmarkt, could not be easier. Follow the instructions below, and create an account today to start supporting a cause or charity of your choice. 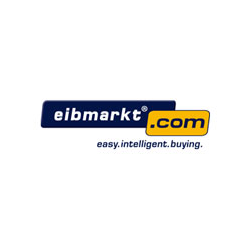 Eibmarkt.com is one of the largest e-commerce sites on the world wide web with over 225000 items for the home and building automation marketplace. The company sells home appliances, electrical equipment, data and networking solutions and multimedia products.